In the spirit of neighboring and storytelling: SE Uplift invites you to join us at Knock, Knock! 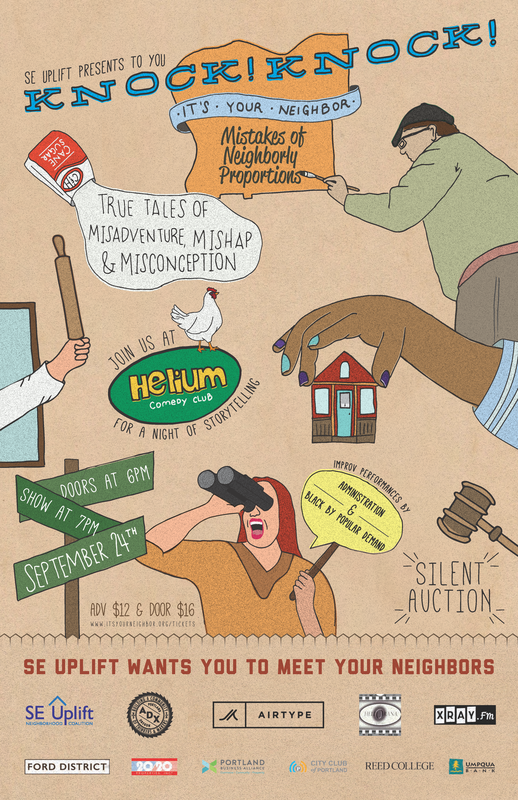 It’s Your Neighbor on September 24th, for a night of honest, uproarious and unifying tales. Held at Helium Comedy Club, 1510 SE 9th Ave. | Ages 21+ | Doors, Drinks & Silent Auction at 6:00 p.m. | Show at 7:00 p.m.
*All revenue generated by ticket sales, except the third party online service fee, go directly towards SE Uplift’s grant programs.